The ELEPHONE Mobile Phone Company was established in the Shenzhen, China at the end of 2006.This Company is having more than 1000 employees and its annual sales volume is over 10,000,000 in Europe, North America, South American and Mideast. Elephone owns modern and highly technical mobile producing lines that can produce 6 million units of handsets per year. This time company has come out with its recent Flagship devices Elephone Vowney and Elephone Vowney lite. Today we will discuss about high specification Elephone Vowney lite which is available for pre-order at a price of $239 (Approx. ₹15400). The release date of this phone is 20th, November 2015. First, we will talk about its processor. It will be powered by MT6795 64 bits true octa core processor, also known as the MediaTek Helio X10 processor (Same processor as in Meizu MX5, Redmi Note 2,HTC One M9+,LeTV etc. ).Antutu benchmark score reaches 50000+ and it can match with Snapdragon 810. This processor is clocked at 1.85 GHz and supports dual-channel LPDDR4 memory clocked at 933 MHz. It also supports 120 Hz mobile display with response time Enhancement technology and MediTek ClearMotion™.It supports 120fps 1080p Full HD Super-Slow Motion video feature. This processor comes with 28nm process and having 4xCortex-A57 and 4xCortex-A53 Cores (Total 8 cores). Android 5.1.1 (Lollipop) will come preinstalled in this phone. Now let’s see its Camera power. It will be having 21 Megapixel (5344x4016 pixels) Sony’s IMX230 sensor camera on the back and 8 Megapixel (3264x2448 pixels) on front. 192 phase detection auto-focus make focusing time reducing down to 0.15s. The dimension of the image sensor used in this device is 5.9x4.43 mm and pixel size are 1.104 µm. It will be having dual LED with aperture f/2.0.It will Supports recording of 4K Ultra HD video as well as slow motion video recording at 120 fps. Other features of its camera are Auto-focus, Phase detection , HDR, Panorama, continuous shooting, Face detection, Macro mode, Scene mode, Self-timer, ISO settings, Touch focus, Digital image, Digital zoom etc. It will sport 5.5 inch IPS multi touch Full HD (1080 x 1920 pixels) display (401 ppi) with 16 million colors and 24 bit color depth. 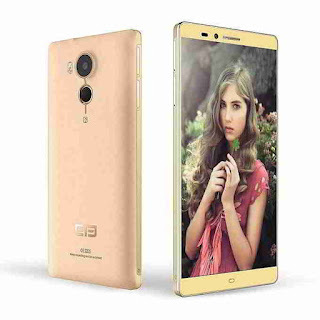 It will be having 95% NTSC color saturation which will make color more gorgeous and will also provide 30% power saving. With its negative liquid crystal display technology, display performance will be greatly improved. Its width will be 76.5 mm, height 152 mm and Thickness will be 8.9 mm. The ratio between the long and short side of display resolution will be 16:9.It will sport scratch resistance Corning Gorilla Glass 3 LTPS (Low Temperature Poly Silicon) screen. Weight of mobile with a battery will be 169 gms. It comes with 3 GB RAM and 16 GB ROM. GPU in this mobile is PowerVR IMG G6200 @ 700 MHz. It can be further expanded up to 128 GB through Micro SD card. It will come in White, Black and Gold colors. It will be having built in GPS and A-GPS with GLONASS. Bluetooth version will be 4.0 A2DP Technology. It will support NFC and Micro USB 2.0 also. It will also support USB on the GO; will come with 3.5 mm Audio Jack. Browser will support HTML, HTML5 & CSS 3. Battery Capacity of this Mobile will be 4000 mAH Li-Polymer battery. It will be a removable type battery and can easily give full day backup on moderate use of the phone. Sensors available on this phone will be G-sensor，P-sensor，L-sensor，Gyro-meter，Hall，Breath LED， E-compass,. It will be having FM Radio. Other Features of this phone will be Fingerprint Scanner Touch ID which support 360° identify, and needs only 0.5 second to unlock the phone. It will support NFC Dual Band Wi-Fi Multi-language. Keeping above specifications in view we can say that web browsing, playing video, 3D games, multitasking all are going to be super smooth. What are your opinion guys?